Part-Welshman Danny ‘Maxi’ Hughes (13-1-2, 2KO) is determined to right a wrong when he rematches Martin J Ward (10-0-2, 5KO) on Saturday. The super-featherweights will fight for the vacant WBC International title over 10 rounds as the Chief Support bout for Matchroom Sport’s ‘We Are Leeds’ show at the First Direct Arena. Hughes and Ward first fought at the start of December but it was marred by an error from the referee and questionable scoring from the judges. Ward was knocked down in the second round after a severe head clash to his temple robbed the Essex native of his senses. It went unseen by referee Phil Edwards but Hughes can understand that error as even he didn’t realise they had clashed heads. However, Hughes felt the judge’s scores gave him more of a reason to feel hard done by. Hughes said: “I think it was hard [for the referee] because I didn’t even know that I’d caught him with the head until they told me afterwards and I watched it back. I think I was definitely unlucky with the judges, though. 25-year-old Hughes, who was living with his Welsh father in Llanelli when he used to train with Gary Lockett in Cardiff, had a firm foothold in the contest at the halfway point but his fortune had run out by the time the result was announced. One thing that didn’t run out in the British title eliminator was Hughes’ fitness and it has given him confidence for the rematch. He said: “I’ve always had good stamina, I’ve never had a problem with it. I was hoping for this one [the rematch] to be a 12 rounder. I think Ward’s stamina was going towards the end, so I know two more rounds would have been tough for him. Despite the criticism, Hughes rates Ward highly and he recognises that his opponent’s skill set, that saw him represent Team GB as an amateur, isn’t easy to deal with. Hughes said: “The hardest bit of the fight was the first couple of rounds when he was sharp. Apart from that, I felt I could suss him out and gage him but don’t get me wrong, he is a class kid. “The stuff you watch him do online, he does different stuff in the ring –only little moves and you can’t take that away from him. 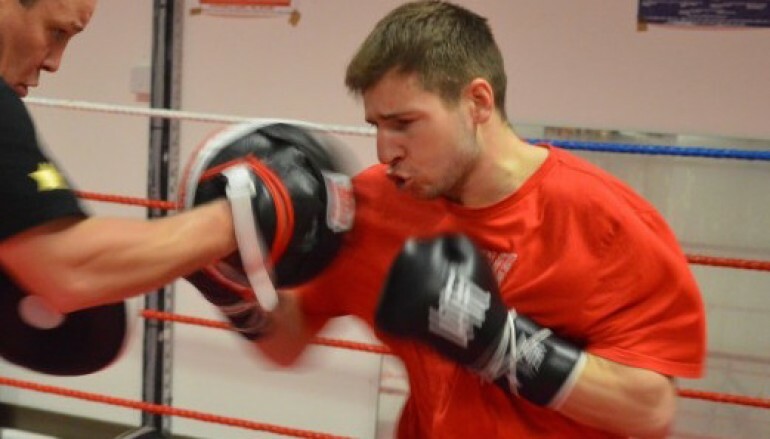 Nowadays, Hughes trains alongside two-time world bantamweight champion Jamie McDonnell and his European super-bantamweight champion twin brother Gavin McDonnell at Dave Hulley’s gym in Doncaster. The southpaw has been working on changes to his approach and expects Ward to do the same. Josh Warrington headlines Saturday’s show, he faces the Filipino Dennis Tubieron in a WBC featherweight eliminator. The hometown hero is well renown for owning one of the noisiest fan bases in Britain and Hughes hopes his sparring partner’s loyalists back him to create a fearsome cauldron. He said: “Ward’s trying to claim that he’s from Leeds and it does say on BoxRec that he was born here but he’s not the home fighter. That’s me. He’s saying it more and more, maybe it’s insecurity creeping in. “I’ve got 300 fans coming to support me, it’s only half hour away [from Doncaster]. The crowd’s going to be barmy. I do a lot with Josh [Warrington] and I’m sure his crowd will be behind me as well. It’ll be quite hostile for Ward. 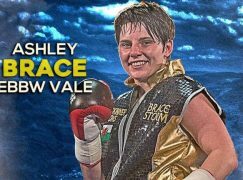 After spending many hours in the gym with Warrington, Hughes knows Lee Selby’s rival very well and expects him to follow Wales’ soon-to-be IBF title challenger to world level. 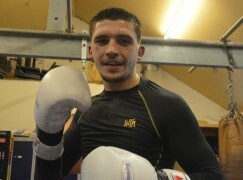 Hughes said: “We’re always mixing together sparring, I’ve done loads of rounds with Josh [Warrington] and when I was training down in Wales, Lee Selby wanted me for southpaw sparring. “They could have a massive, massive fight. You’ve got Selby now, who has got a world title shot [against Russia’s undefeated Evgeny Gradovich on 30 May] and I think he can win. If he can have a couple of defences and Josh can keep winning, they can do it. 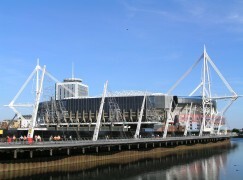 Could the Millennium Stadium be the key to keeping Welsh boxing’s biggest names at home?